Ready for your next Island getaway but are not sure where to start? Love traveling, hate sleeping in a hotel or timeshare? Wishing you could open your door to the sound of waves and the smell of salty air? Then you need to come to your local Airstream travel trailer dealer in Wisconsin and see the limited edition Tommy Bahama for sale. The place to find not only the Tommy Bahama for sale but many other Airstream travel trailers for sale is at Ewald’s Airstream of Wisconsin in Franklin, Wisconsin. 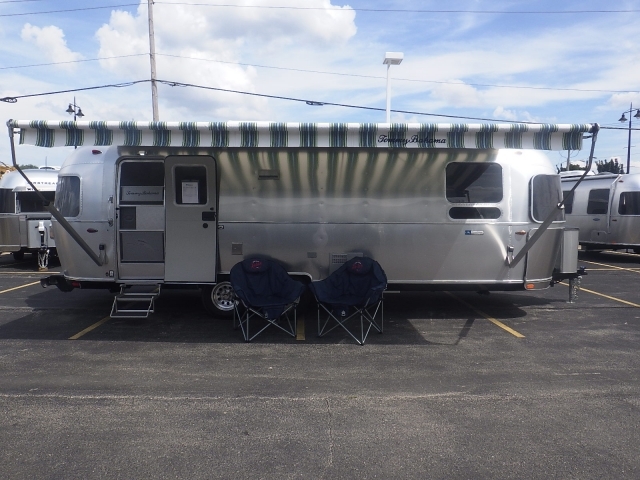 Ewald’s Airstream of Wisconsin is known for having a large selection Airstream travel trailers for sale. When it comes to travel trailers for sale, Airstream has created travel that will find everyone’s, wants and needs, whether that be the small and light Basecamp or the hardy Flying Cloud or somewhere in the middle like the Tommy Bahama for sale. Not only that but here at your local Airstream dealer in Wisconsin we also understand that each person who walks into our Airstream dealership is going to have different wants and needs when it comes to a trailer for sale. If you are someone who wishes they could be on an Island getaway any time they wanted, you need to come and see the impressive Tommy Bahama for sale. This travel trailer was created with the beachgoer in mind, with island-themed decor and features, it will feel like you are going to an island oasis every time you step foot into your travel trailer. Soft and natural accents such as wood shutters and leather drawer handle give way to the beachy feel while remaining sophisticated. A galley style kitchen with a range, large sink, microwave and plenty of storage space allows for easy preparation and serving of food. The Tommy Bahama special edition is perfect for the avid entertainers, with a built-in backlit bar and ice maker and wine cooler, along with the Tommy Bahama special edition accessory kit which includes; chairs, a cooler and much more your Airstream trailer will be the place to go. Never worry about being bored on a cold or rainy day because this Airstream camper also comes with a premium entertainment center. The entertainment system comes with a LED TV and Bluetooth sound system allow you to keep the party going all night long. 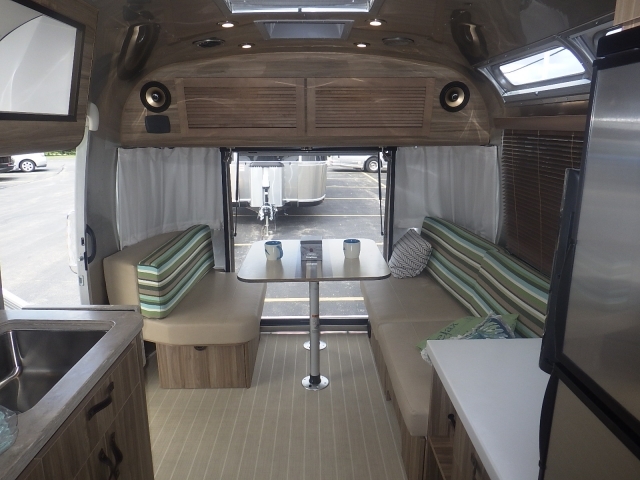 Never worry about feeling cramped and cluttered in this Airstream travel trailer, because the Tommy Bahama comes with many innovative storage features that blend in perfectly with the decor of this travel trailer. Plus with innovative features such as charging stations and storage under the bend seating, everything will have a place, and there will be a place for everything. Count on the Airstream Tommy Bahama to last far longer than its boxy competitors, and with its lightweight and sleek design, you will not even feel the impact at the pump. With an exterior length of 28’ and a net carrying capacity of 1,204. The Tommy Bahama sleeps up to four people comfortably, Come to Ewald’s Airstream of Wisconsin and see the special edition Tommy Bahama for sale and get a taste of what it feels like to always be on an Island retreat. If a Tommy Bahama is not what you are after scheduling a walkthrough of one of the many other Airstream trailers for sale in Franklin, Wisconsin. Your local travel trailer dealer, Ewald’s of Airstream of Wisconsin happily serves the Franklin and surrounding Wisconsin areas.